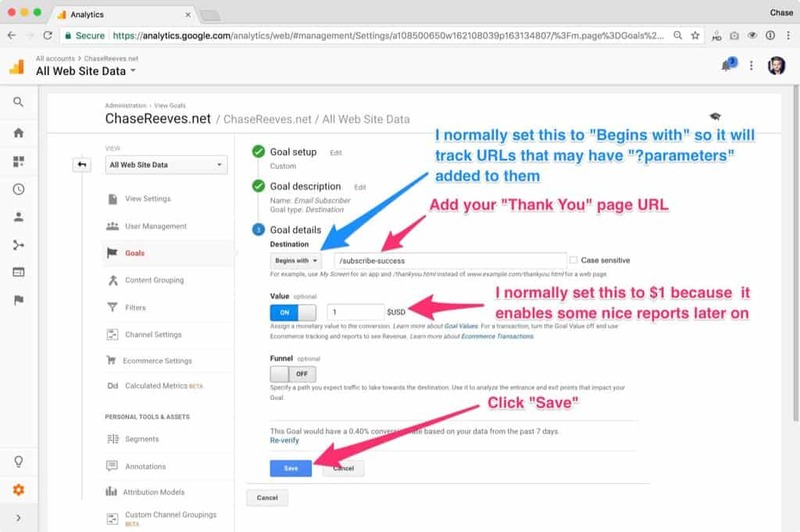 Tracking email signups in Google Analytics is easy to set up. 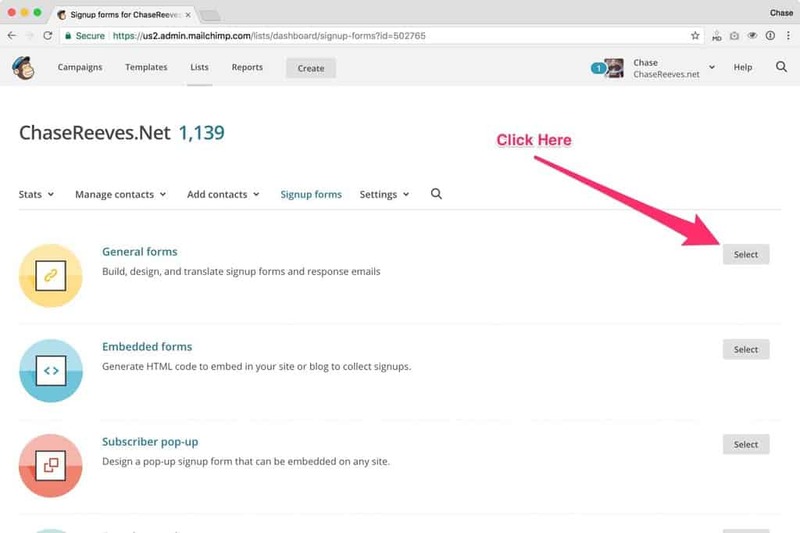 Follow this guide and you’ll be tracking your signups in just a few minutes. It’s terrible when there’s activity on your site that you’re BLIND to. What pages are people using? What calls to action are effective? Etc. So in this post I’m going to show you exactly how to setup one of the most important pieces of data you can track. 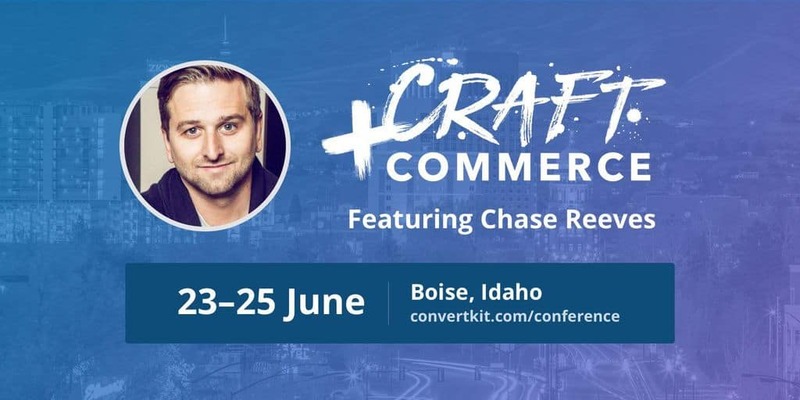 An email conversion is one of the most important events that can happen on your website because it turns visitors into relationships. Yet, surprisingly, so many indie businesses aren’t tracking email signups in Google Analytics! 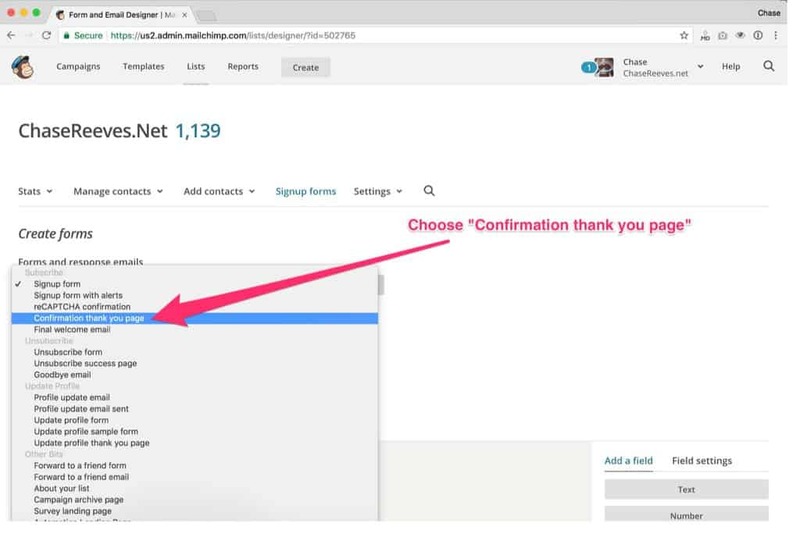 Tracking email signups in Google Analytics is critical for understanding what pages on our site are EFFECTIVE at converting visitors to email subscribers. 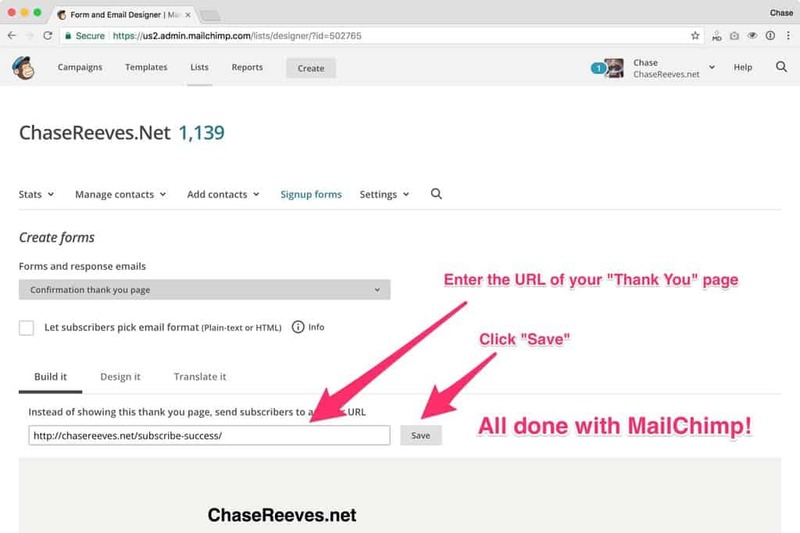 Create a “Thank You for Subscribing” page on your website. 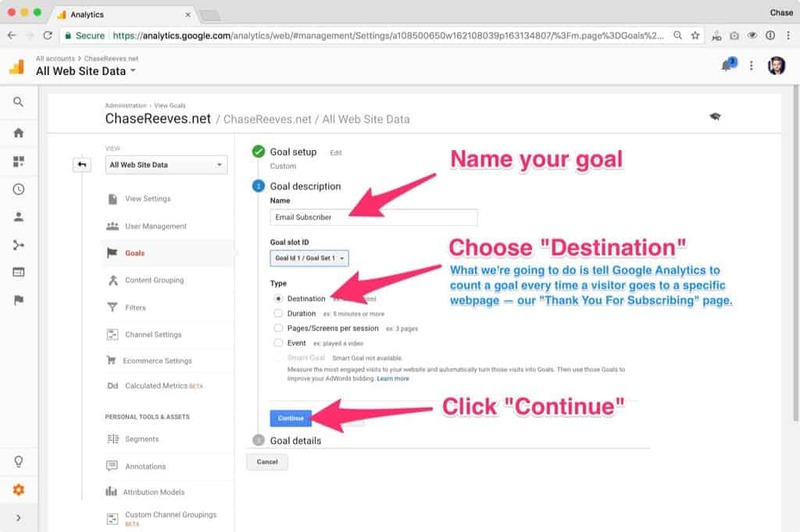 Tell Google Analytics to track visits to this “Thank You” page as Goals. 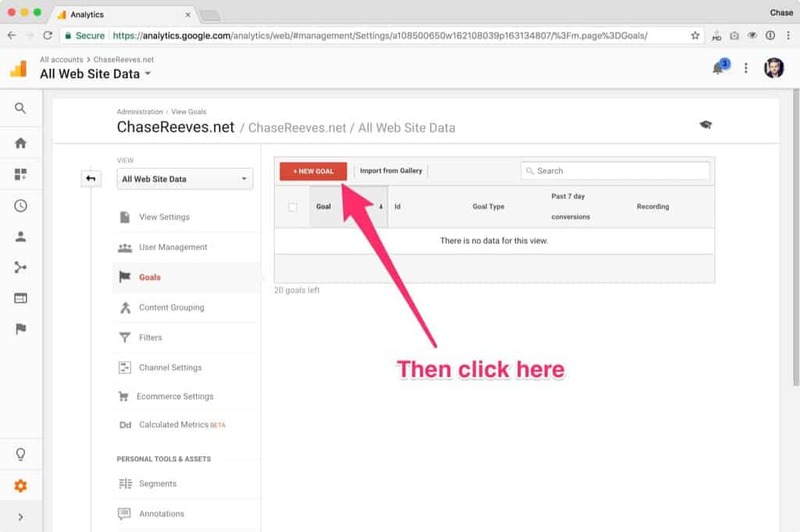 Why else would you want to track email signups in Google Analytics? Can’t you just find out how many signups you have through your email marketing tool? Easily switch email providers, without losing all your conversion and signup data. Most online businesses end up using more than one email service over the years, and this is a big benefit to tracking in Google Analytics. 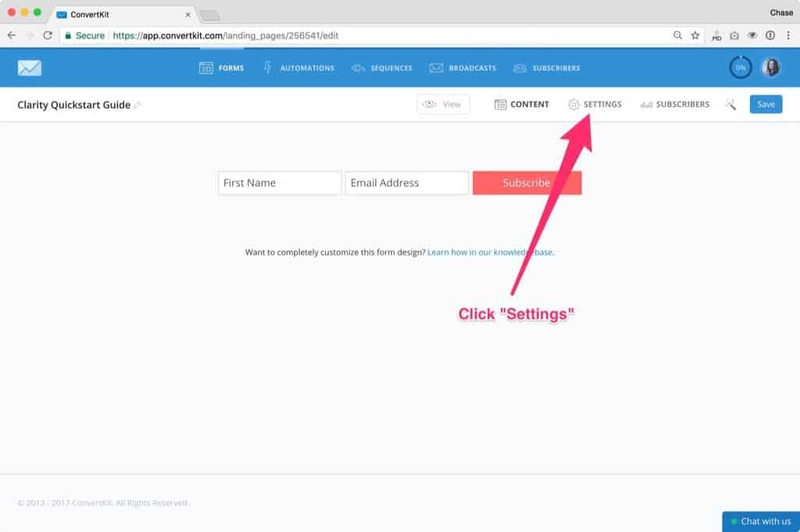 Assign a goal “value” to an email signup, so you can tell which pages are worth the most on your site. Don’t worry about those advanced features just yet. 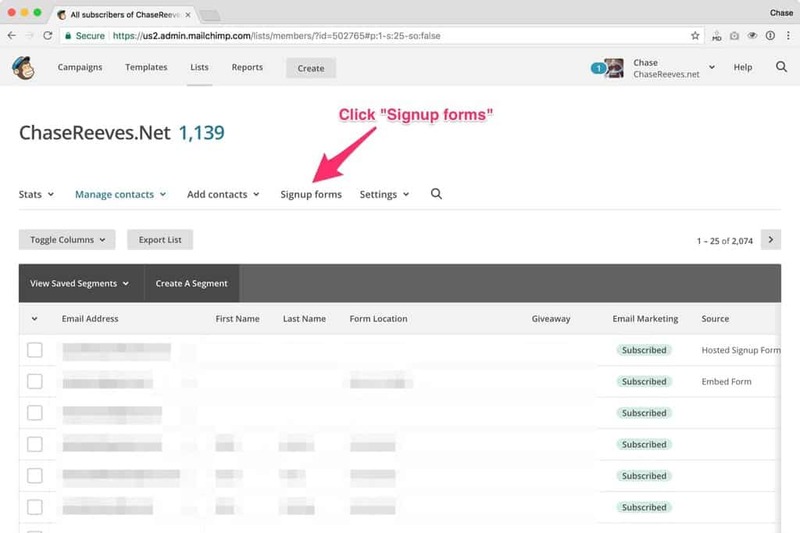 The first step is simply to start tracking your email signups. 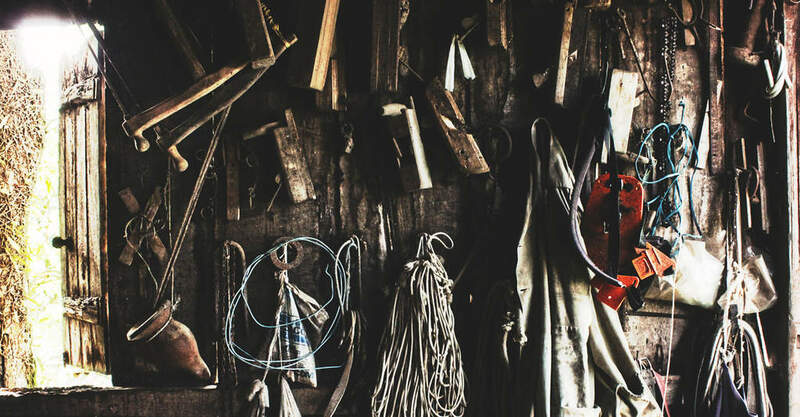 If you don’t already have Google Analytics installed, you can read this or watch this to do that now. This will be the page that every new subscriber will see as soon as they subscribe on your website. When a new person subscribes, let’s send them to a custom page on your website instead of a generic page from your email provider. Create a new page on your website. Give it a URL you’ll remember like /thanks or /subscribe-success. 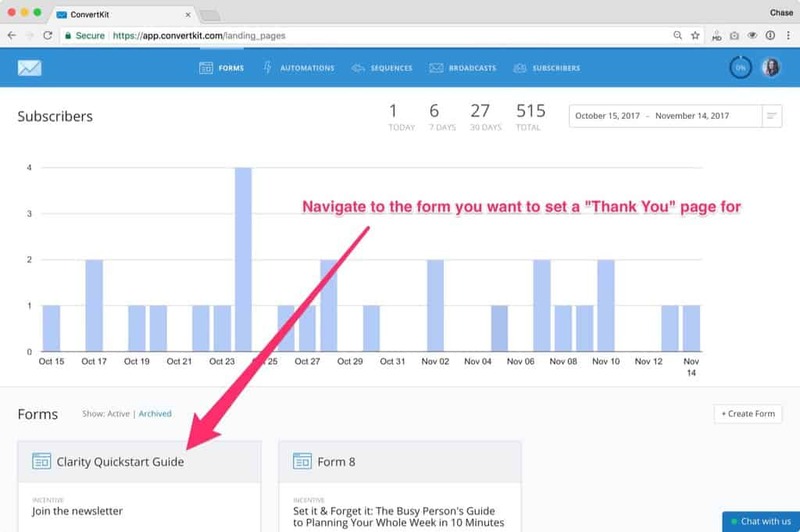 Here’s a great article on what content you can put on your thank you page. Now we need to tell our email marketing tool to send each new subscriber to our brand new “Thank You” page. 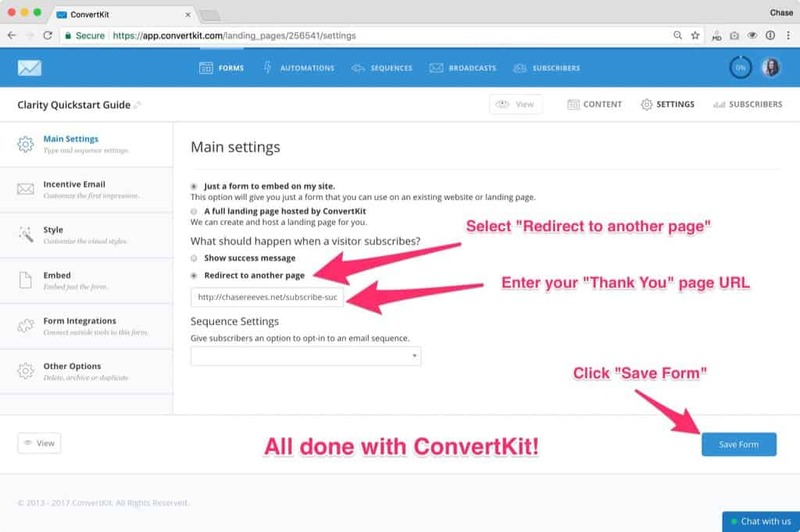 Below I’ll show you how to do this in both MailChimp and ConvertKit. Every time someone visits this thank you page Google Analytics will count that as a goal. You just gained a new relationship! Name your goal, choose ‘Destination’ and then click ‘Continue’. What we’re doing here is telling Google Analytics to count a goal every time a visitor goes to a specific webpage — our “Thank You For Subscribing” page. 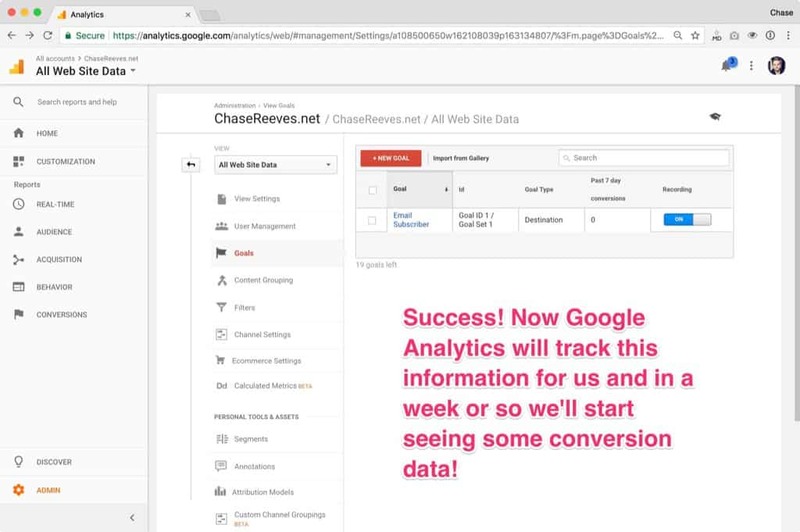 Now you’re tracking email signups in Google Analytics! 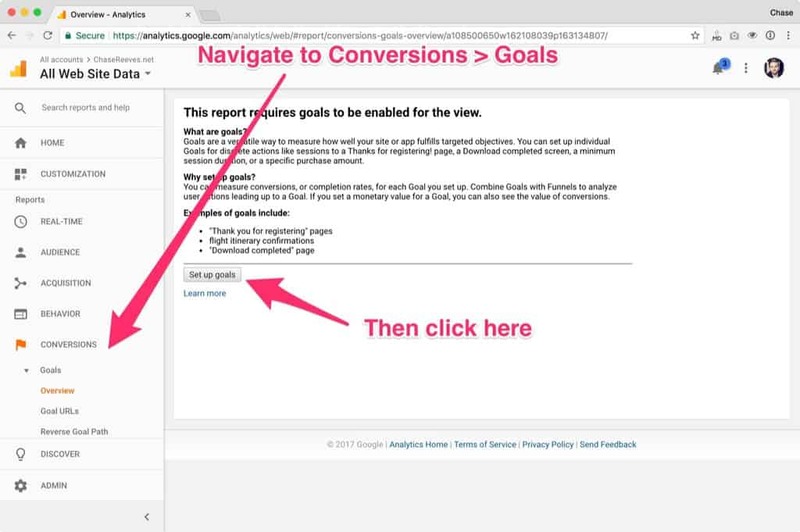 In the weeks to come Google Analytics will be tracking any new email signups as goal conversions. Now you’ll be able to tell — WITH DATA! — which pages are the most effective at causing conversions on your site. You’ll also be able to make important strategy decisions based on your new data. 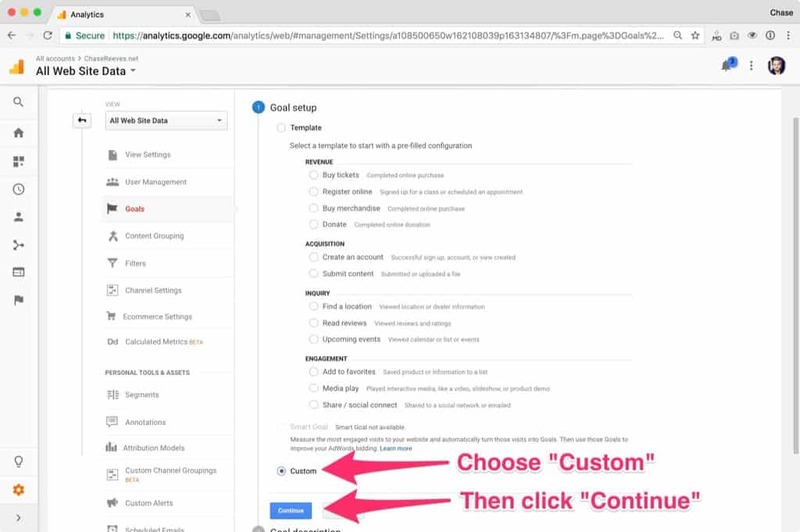 These are the kinds of strategy decisions we’ll be teaching you how to do in the Website Tuneup Course, but if you’re experienced on the web already this data will help you come up with new strategies on your own!